Go travel. Go find yourself. Money can always return. Time will not. 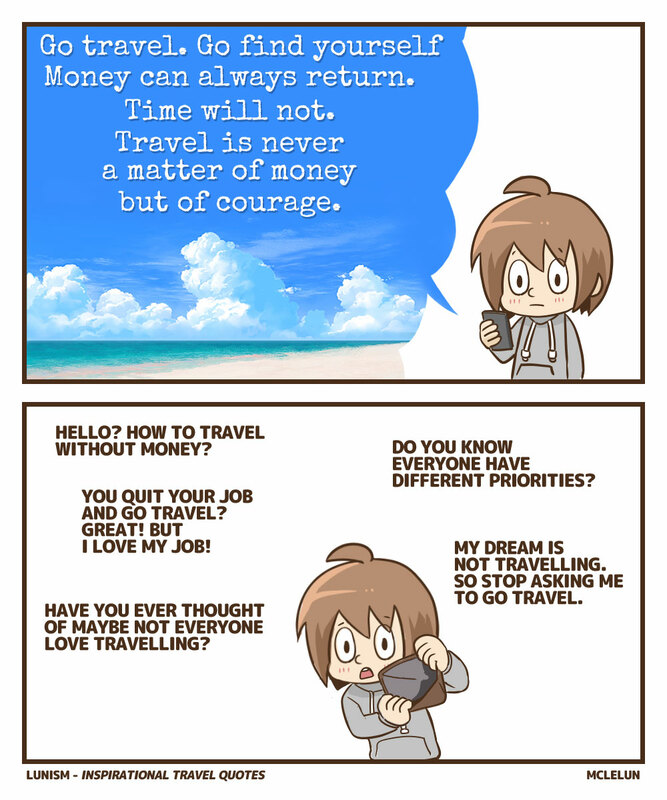 Travel is never a matter of money but of courage. Travel quotes can be inspiring if you love traveling, but all these quotes doesn't work for me. I don't hate travelling, I simply have other dreams to chase. Working on dream projects which I actually enjoy more. For now, I will just travel around the world with google map street view.